In a digital age – with a wealth of information at our fingertips – it’s quick and easy to find out about colleagues, collaborators and clients. Whether you are employed or self-employed; work in the residential, commercial, heritage or other sectors, the strength of your personal brand is an important element in supercharging your career. A good personal brand is a valuable asset that differentiates you in a construction industry where competition for top commissions for landscape architects can be keen. 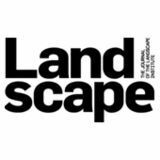 Misunderstandings by key stakeholders about the pivotal role of landscape architects – even by other professionals in the sector – can be an aggravating factor. A strong personal brand can also go a long way towards getting you the recognition you deserve. Not only does it promote the important role of landscape architects, but also showcases your own specific range of skills and achievements. As a consequence, you can benefit from raising your profile and also paving a pathway to more opportunities and greater success. Well, we all have a personal brand – whether we deliberately cultivate one or not. Think about it… We can now find out something about almost everyone through digital media, with just a couple of mouse clicks. So it makes sense to develop a good personal brand that you have some control over. Personal branding is the practice of marketing yourself and your career as if it were a product, with its own identity, reputation and value. As an experienced personal branding consultant, I have worked with a range of professionals and business owners that have been mystified by the purported need for personal branding. And they have frequently complained about being bamboozled by the range of jargon and definitions they have to wade through to explain personal branding. To address this, I have developed a user-friendly equation to condense and clarify the key elements of personal branding. Your personal brand image refers to the values and personality that you convey and, in turn, would like others to perceive about you. –– your soft skills – in other words, the way you behave towards your customers and colleagues. The other part of the equation is your personal brand’s reputation. This refers to what other people say about you, their trust in you and how they rate you. In fact, your reputation is critical because it can reflect how effective, or otherwise your personal brand is. It can literally make or break you because, although a good reputation can be beneficial and should be cultivated, a problematic reputation can be difficult to manage. It risks being amplified through both online ratings and a reduction in peer-to-peer recommendations. If you get your image right and build a good reputation, you will be able to count on a valuable personal brand. This will be instrumental in levering you into a powerful position with a useful network – with enough ‘reach’ to target customers or industry influencers. Researcher Nielsen reports that almost 90% of customers trust the reputations of people recommended to them by someone they know, whilst only 33% of buyers trust marketing from a company. Consequently, building your reputation is central to ensuring that your peers and customers speak highly of and recommend you. So, how do you build a personal brand? How do you approach making sure that you – and your work – stands out from the crowd? How do you build a personal brand that is recognised, remembered and respected by your professional peers, clients and other stakeholders? Remember that you are your own personal brand ambassador. Unlike a company brand, where the focus is largely on the product or service, the focus in personal branding is squarely on you. You have control of it. However it’s not about selling, but about influencing perceptions of you as an individual and professional in order to benefit your career or business. Cultivate a good reputation by taking control of your image by developing a proactive action plan. Define your personal brand attributes – focus on what is unique and special about you, your skills and experience. Consider the kind of impression that you want to build and the target market you want to reach. What is important to your clients? Make sure you know, but keep it authentic – be yourself. Don’t forget the importance of conveying personal qualities e.g. someone who cares and truly wants the best for their clients. Ensure that your social media, business card and other marketing materials are consistent with the impression you’re aiming for. Remember that you’re your own brand ambassador – your personal and professional conduct is also part of your image. Define the industry position, achievements and income levels you want to achieve. Set goals around what you’re passionate about. Make your goals measurable, or set milestones so that you can monitor your progress. Plan for the short, medium and longer term. What special skills or experience would you like to develop? Build a network of industry contacts and champions. Develop and share your expertise to build trust through a proactive marketing and outreach plan. Aim to inform, influence and demystify. Use a variety of activities to engage your target audience and promote your personal brand, including your logo, business card, social media, website, a blog, podcast and PR and speaker engagements. Share expertise via written and visual content. Develop your networking skills. Face to face relationships are a powerful way to build trust in your personal brand. Ask for and share testimonials. Engage with and follow industry influencers. A professional photograph (head shot). A portfolio of your work – digital, print and video. Be prepared to impress with an elevator pitch that focuses not just on your skills, but how customers trust and rate you. Practise it. Social media – focus on quality, not quantity. CV.Create and share a short bio. Create a press release template that’s ready to amend with news updates about your career and projects. Blog – showcase your work, share your expertise and curate useful information from others. Vlog – consider showcasing your expertise and portfolio by video. Be the expert. Diana Chrouch is a personal branding and marketing consultant and director of Chrouch Consulting. She works extensively as a personal branding trainer and speaker, including with a number of landscape professionals. She chairs the Diversity and Inclusion Committee for the Worshipful Company of Constructors.